Here comes Peter Cottontail! 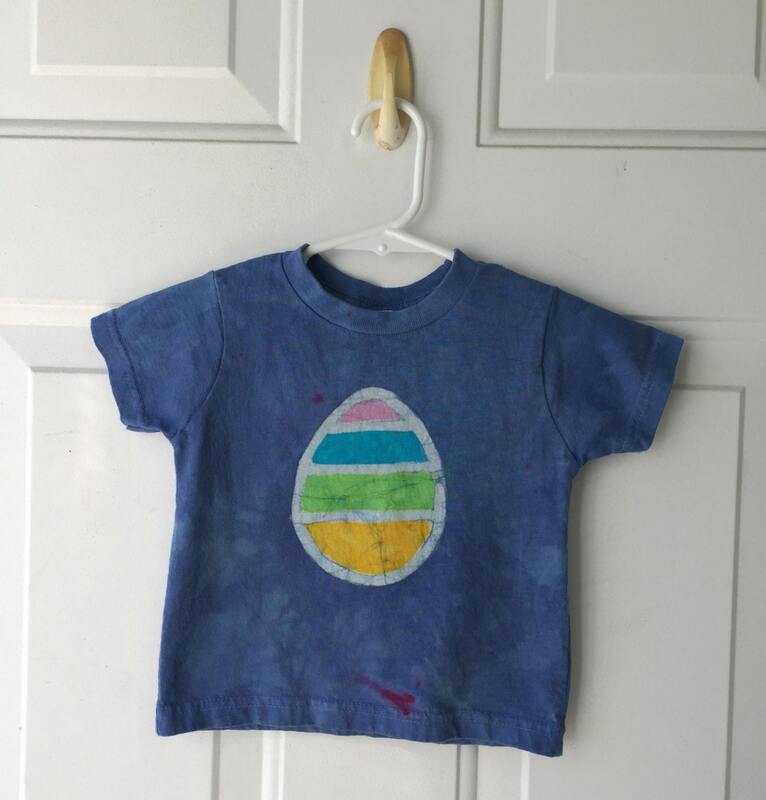 I drew a big Easter egg onto the chest of this toddler T-shirt and painted it several bright spring colors. 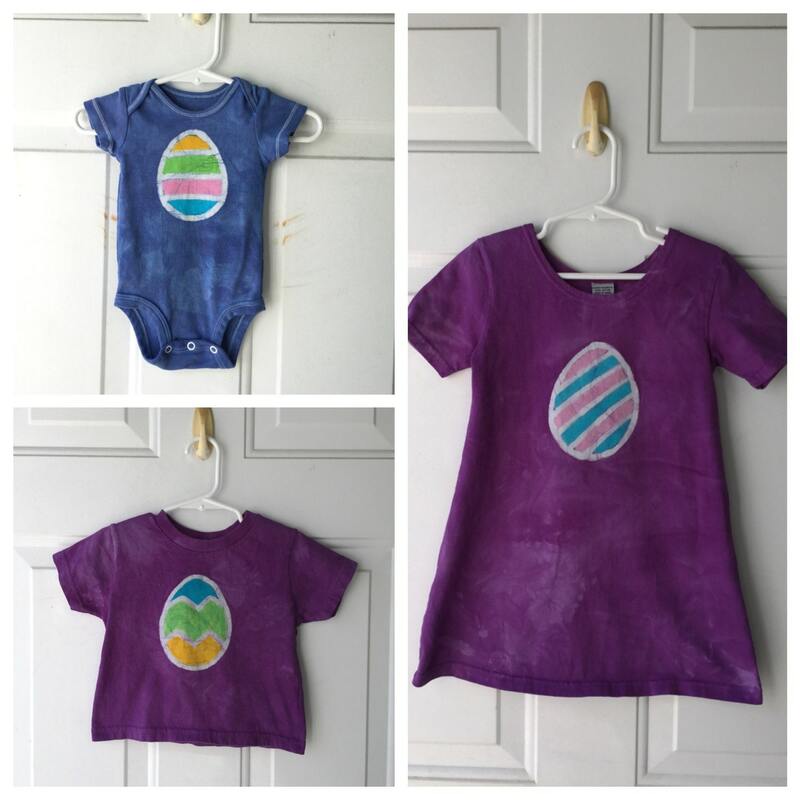 When they were dry, I dyed the shirt blue. 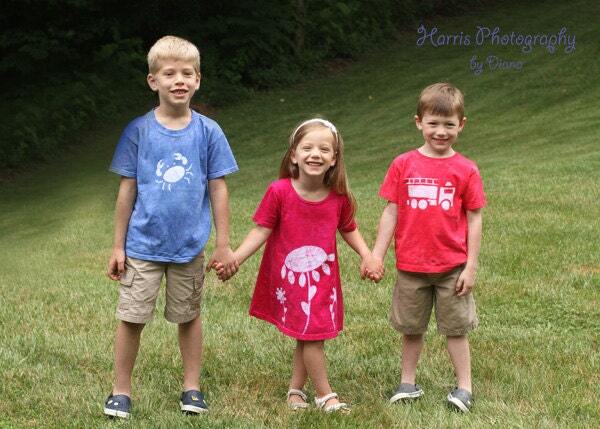 This is a size 2T (fits like 18 months) Rabbit Skins brand short-sleeve shirt, 100 percent cotton. What are those red spots? This shade of blue has a little red in it, and sometimes it separates out when I dye the shirts.